When it comes to traveling to high-altitude destinations like Denver and Aspen, Colorado, or the Swiss Alps, altitude sickness affects almost one out of three people. Generally speaking, this brief illness occurs when a person quickly travels from a place with a low elevation to one with a high elevation—or vice versa. This usually happens above 5,000 feet, though some might not experience altitude sickness until at least 10,000 feet in elevation. Ultimately, altitude sickness is unpredictable. It can affect anyone from the young, fit hiker to the elderly traveler, and those who suffer from it one trip may not get sick the next time. Knowing how to prevent altitude sickness before it starts and how to detect it once it sets in can go a long way in making your trip to a high-elevation destination more comfortable and enjoyable. 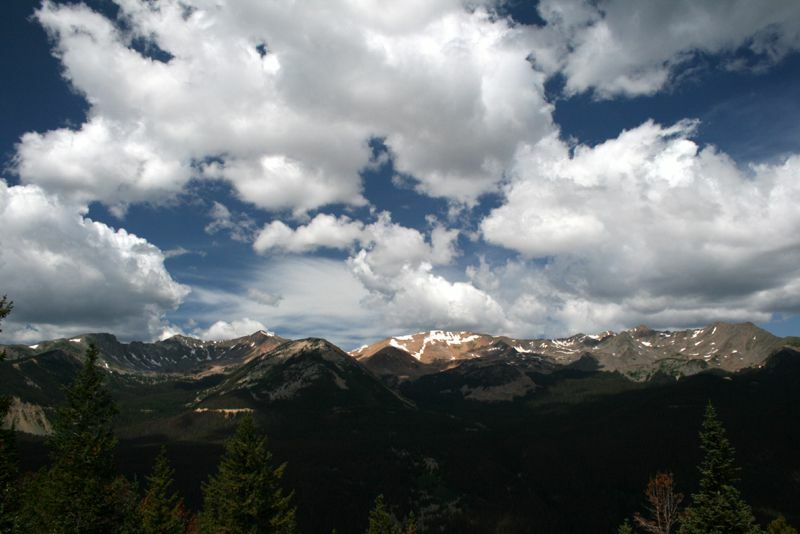 "Altitude sickness occurs when you cannot get enough oxygen from the air at high altitudes. This causes symptoms such as a headache and not feeling like eating. It happens most often when people who are not used to high altitudes go quickly from lower altitudes to 8,000 feet or higher. For example, you may get a headache when you drive over a high mountain pass, hike to a high altitude, or arrive at a mountain resort." You may have altitude sickness yet not have all of these symptoms. Some people may experience a general lethargy or get tired more easily at higher elevations due to a minor case of altitude sickness just because you can't get enough oxygen from the air. Whether or not you are prone to altitude sickness, there are a few precautions you should take when climbing thousands of feet in elevation in a short amount of time. Taking these quick steps can help you prevent the possibility of experiencing this ailment when you arrive at your destination. Ascend and descend gradually, maybe over a day or two. Spend a day or the first night at an altitude slightly lower than where you plan to be active. Take preventive medications that might help with altitude sickness. The first step to treating altitude sickness, if you do get it, is to acknowledge that this is what's affecting your body. Once you first feel the symptoms, you should immediately increase your intake of fluids and avoid strenuous activity. Within a day, you should acclimate to the altitude and be able to resume normal activities, but you might still want to avoid too much hiking and remember to get plenty of rest. If you already have heart or lung problems, experience debilitating symptoms, or become concerned about your body’s response to high altitudes, be sure and contact a medical professional. This information is meant as an informal guide to altitude sickness and not medical advice. If you're planning on traveling to a high-altitude destination in the United States, it may be a good idea to prepare for your trip by taking some of the above preventative measures so that you can avoid getting altitude sickness when you arrive at your destination. You might want to alter your travel plans to prepare your body for a trip to a very high altitude place by staying in a slightly lower city first. For example, if you're traveling to Aspen, you might first want to spend a day or two in Denver before continuing to Aspen.